A belated Happy New Year! I've just returned from two weeks in colourful and inspiring Cuba and I'm now looking forward to some Alabasta related developments in the coming months. New home products have been sampled that relate to the current collections of trays and will be shown here as soon as they are launched. 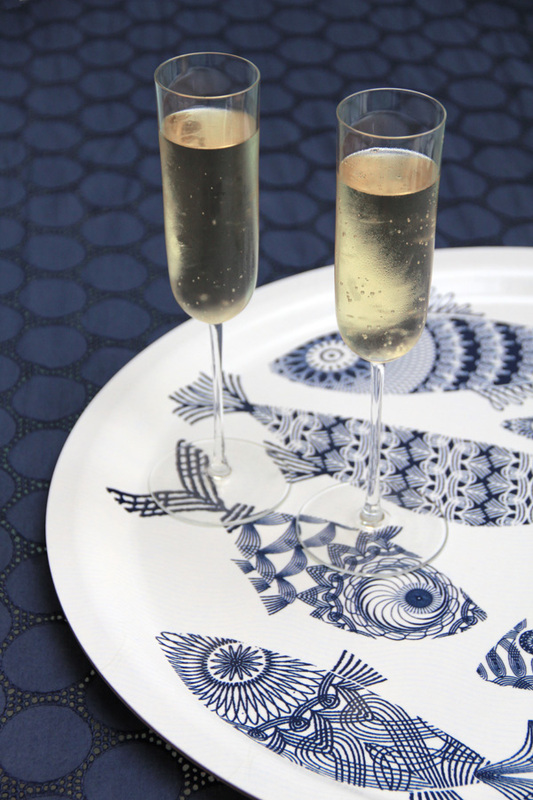 Right now, however, Åry Trays are over from Sweden and have a stand (F12) at 'Home', the brand new London homewares trade show where retailers can see and order from the whole selection of their birch wood trays, including the Alabasta Blue Fish and Folk Stripe collections. Home is a new show from the organisers of the long established gift trade show Top Drawer and is running alongside it at Earls Court. It is being described as 'the definitive new trade event for homewares and interior accessories' and runs until tomorrow, 17th January. I'm going along tomorrow in my delirious jet lagged state to check it out. A rather belated Happy New Year. 49cm Alabasta Blue Fish tray.